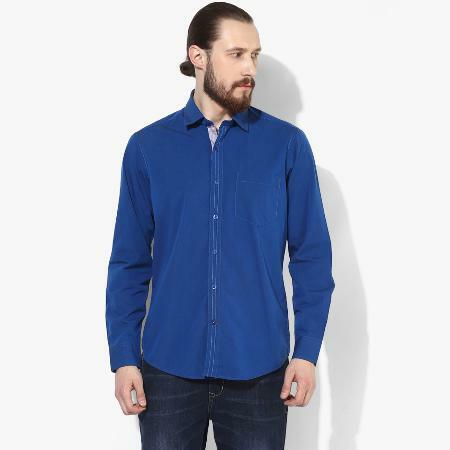 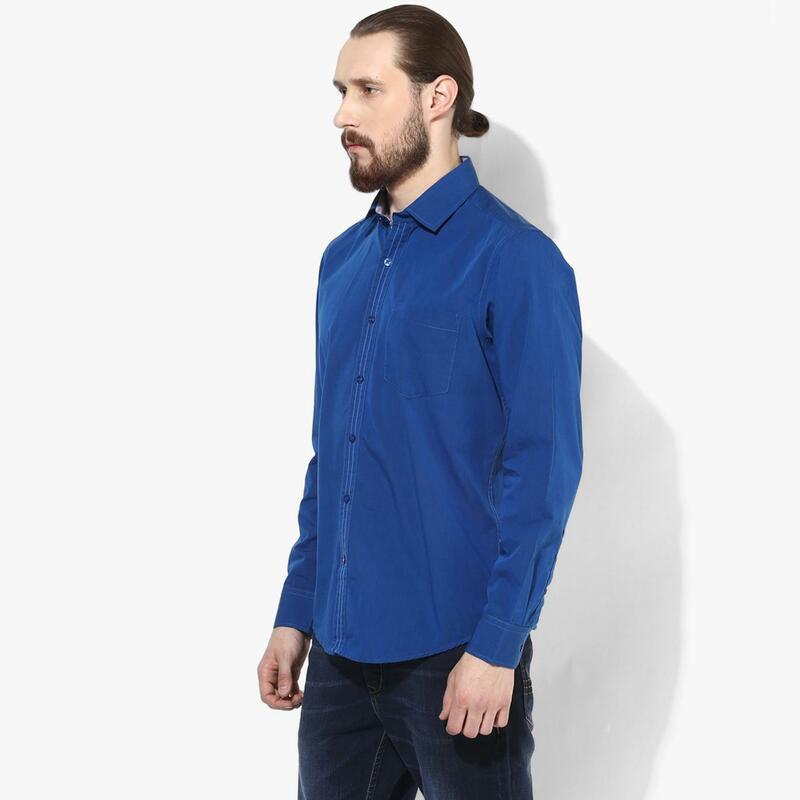 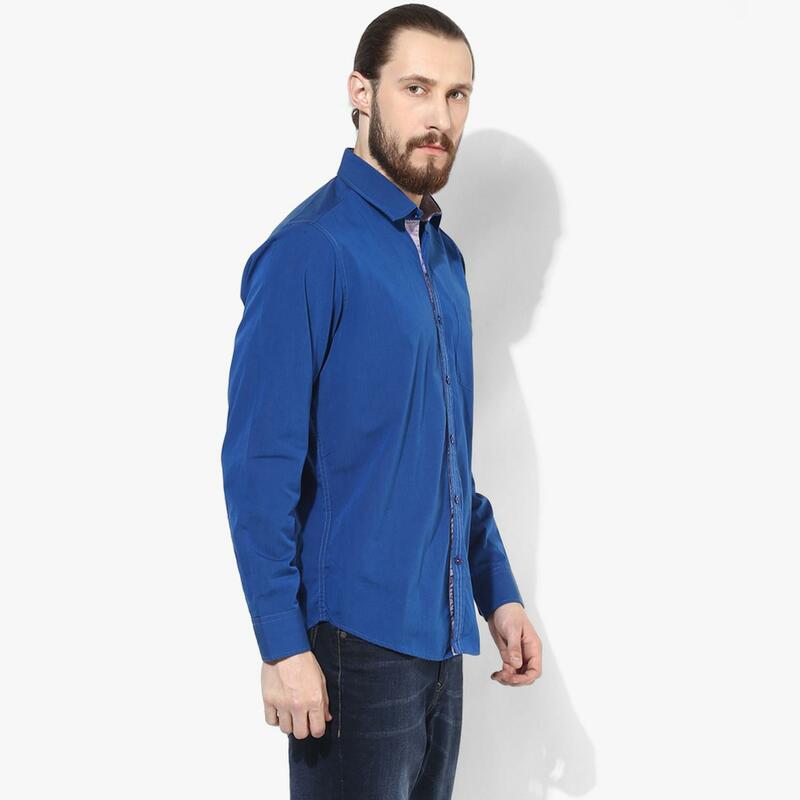 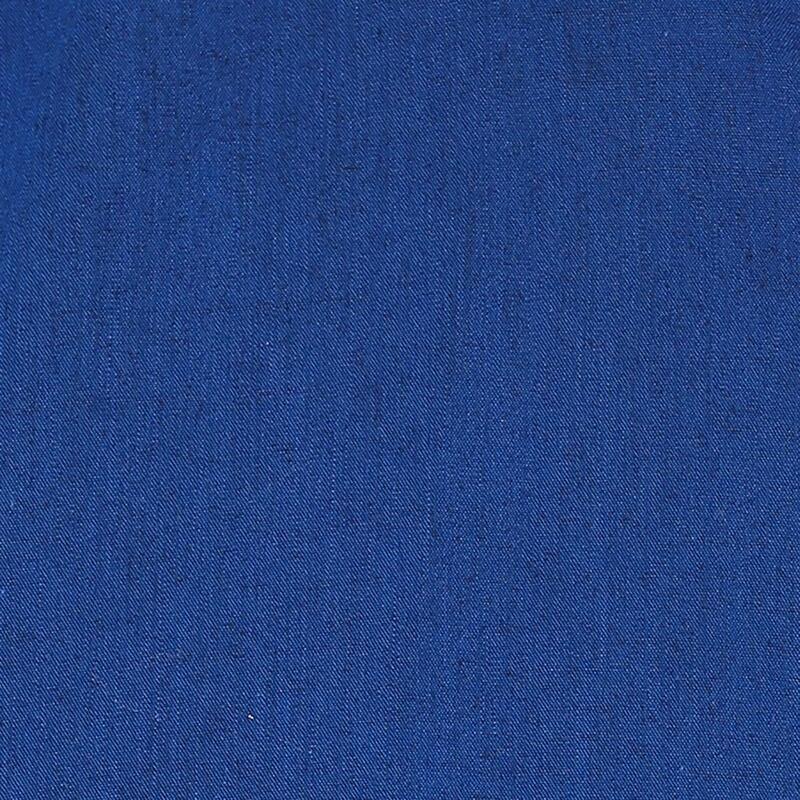 Redefine your casual look by wearing something trendy like this royal blue casual shirt for men by Red chief. 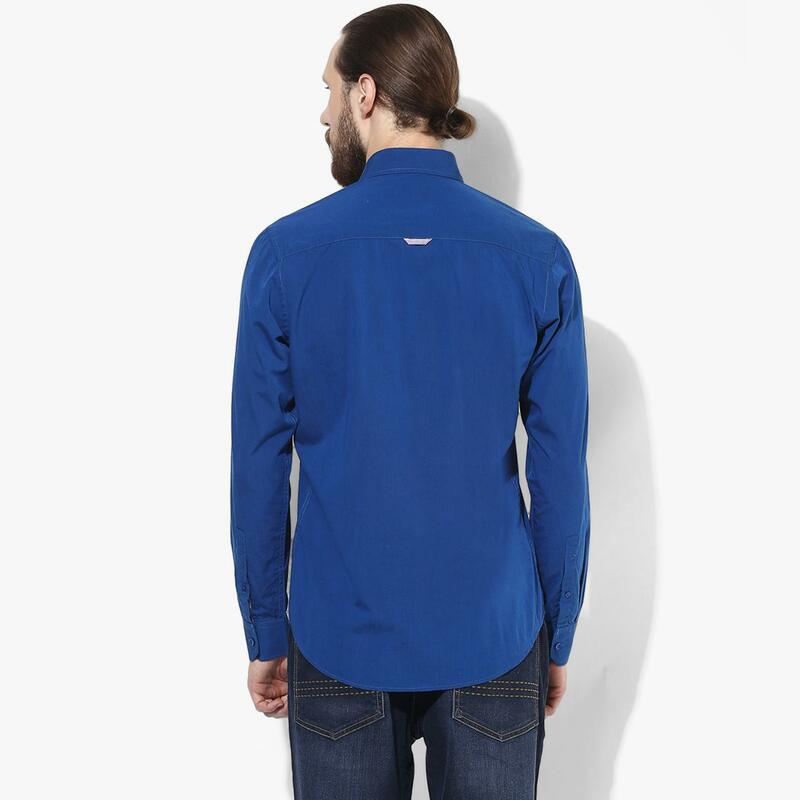 The regular collar and sauve appeal are the main highlights of this regular-fit shirt. 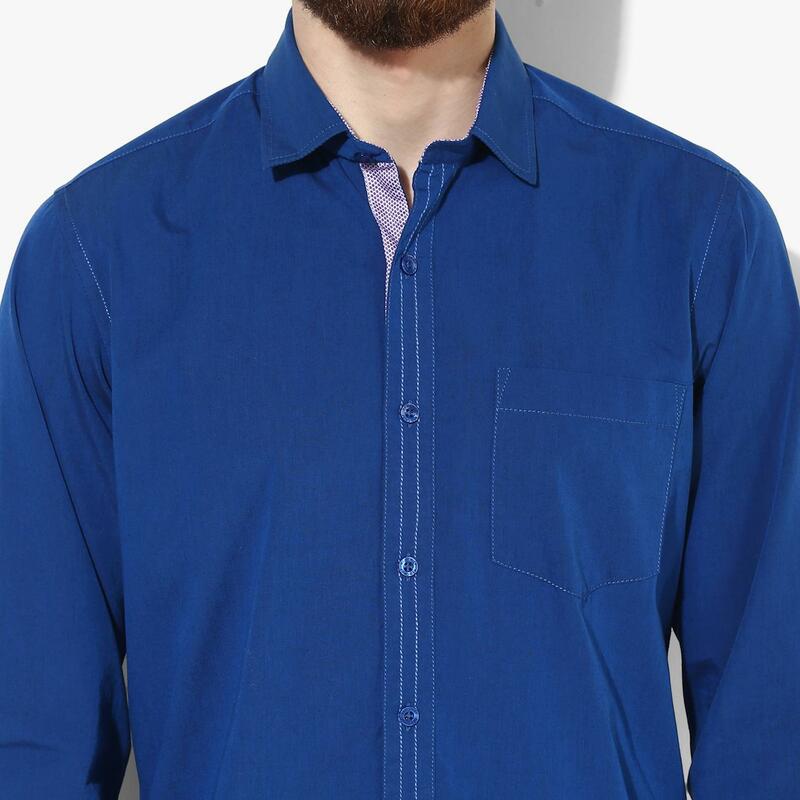 Throw on a pair of skinny jeans and loafers with this 100% cotton shirt to make an impressive style statement!